Urban fantasy offers a diverse playground for some extremely powerful stories. Professional writer and editor, Kerrie L. Hughes, pulled some fantastic tales out of fourteen top writers for this fifth installment of Fiction River. 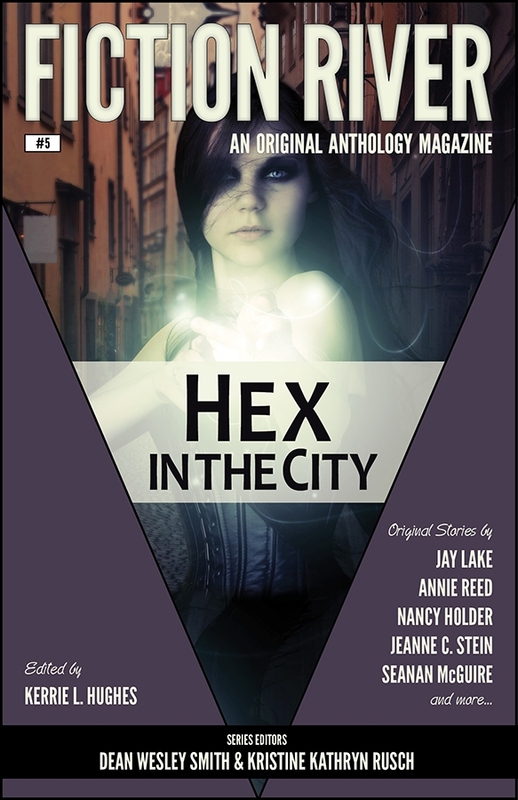 Set in urban lands from modern Portland, to a future Detroit, to a wild Washington, D.C., and ending the tour in London, these top writers take the idea of “Hex” and stretch and twist it into stories with a magical grip on the imagination. Jay Lake, Annie Reed, Nancy Holder, Jeanne C. Stein, and Seanan McGuire lead this urban fantasy anthology from the popular editor of Zombie Raccoons and Killer Bunnies and The Girl’s Guide to Guns and Monsters.